What HA Datastore Heartbeating and how to use it? When the master host in a vSphere HA cluster can not communicate with a slave host over the management network, the master host uses datastore heartbeating to determine whether the slave host has failed, is in a network partition, or is network isolated. 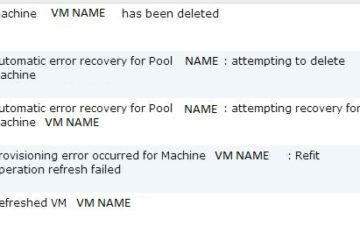 If the slave host has stopped datastore heartbeating, it is considered to have failed and its virtual machines are restarted elsewhere. 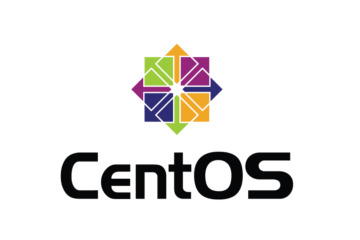 vCenter Server selects a preferred set of datastores for heartbeating. This selection is made to maximize the number of hosts that have access to a heartbeating datastore and minimize the likelihood that the datastores are backed by the same storage array or NFS server. In almost every scenario you want to use datastore heartbeating. This is an important mechanism to both protect virtual machine workloads as well as preventing failover from occuring due to a false positive. However, there are situations where you may not want to use datastore heartbeating. One example that comes to mind is a cluster of VMware ESXi Servers that host a critical application but only requires one LUN due to either its size or other factors. However, due to either licensing or the importance of the application you want to dedicate those workloads to a specific cluster that exist to only serve that application. In that scenario with only one datastore vSphere will display a warning. To resolve this you must alter the datastore heartbeat settings for the vSphere cluster. Step 1: Log in to vCenter and view the cluster. You will see a similar warning to the below. 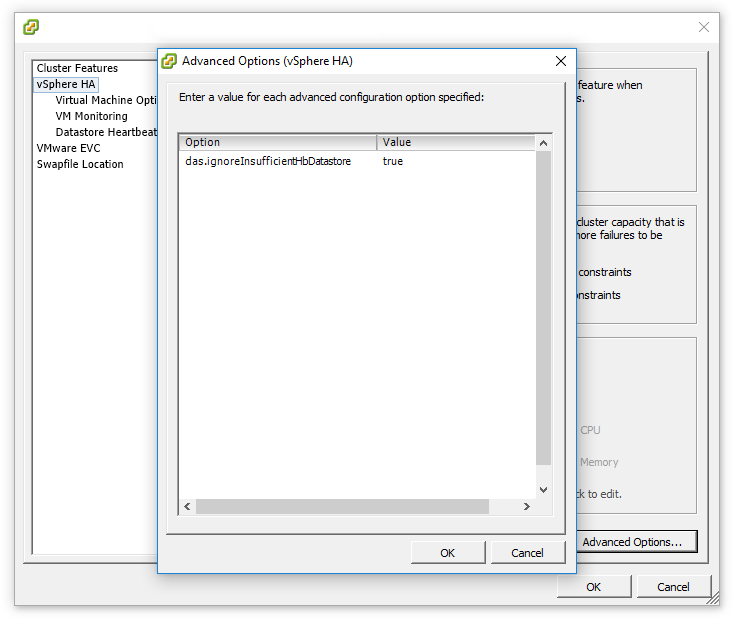 Step 2: Right-click the cluster, click Edit Settings, select vSphere HA, and then Advanced Options. Step 3: Under Option, add an entry for das.ignoreInsufficientHbDatastore and set it's value to true. Step 4: Right click each host in the cluster with the warning and select Reconfigure for HA.